1: To apply the Hawaiian culture, spirit and character to anything. 2: To live the Aloha Spirit though life love, and laughter. Aloha! Welcome to Kapo Trading Company where we deliver Hawaii to you! 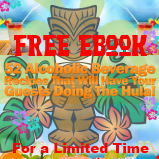 Blog -- our authors live in Hawaii and share their personal experiences, favorite local places, and what it's really like to be a "local"
Hawaiian Recipes -- whether you're planning a luau or just want to try a new cuisine, you'll find tons of authentic Hawaiian recipes here. Enjoy! 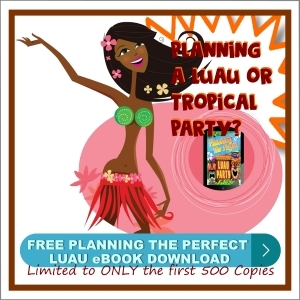 Hawaiian Language -- want to WOW your sweetheart? Say a Hawaiian love phrase to them. Look up Hawaiian words and phrases here. 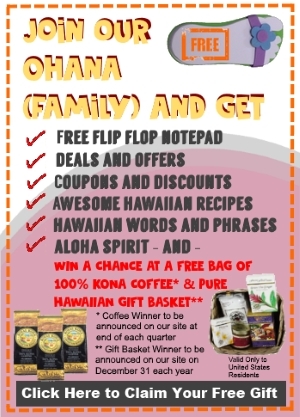 Shop Hawaii -- have a piece of Hawaii delivered direct to you. With over 3000 fun, unique and authentic Hawaiian gift items, you'll find something for everyone! Kapo Trading Company is connecting to the mind, heart and soul of our 'ohana (customers) in a true, 'Aloha Spirit'. We welcome your comments, feedback and suggestions. Stay connected with us on Facebook, Twitter, Pinterest and YouTube. MAHALO!